On the flight to Reno, Nevada we arrived at XNA in Northwest Arkansas and proceeded to the American Airlines check in counter with our luggage. 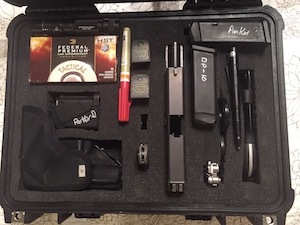 I had my pistol and other items in a 1450 pelican case inside my suit case (figure1). I informed the attendant I needed to declare a firearm. I then removed the pelican case from my suitcase, put it on the counter, and unlocked it (The locks must be non-TSA locks). I then opened the case (figure2). The attendant requested that I fill out a card stating the firearm was unloaded (figure3) and she looked over my open case. After signing the card, I was informed to put the card inside the case and lock it. The attendant then requested that it not be locked, which I quickly replied that it should be locked, and she said yes. I locked the case and put it back in the suit case. 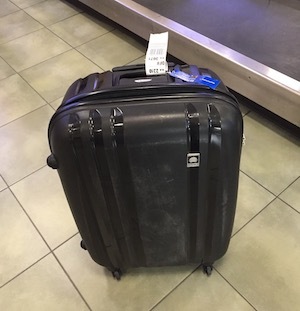 My suitcase was then taken back to be x-rayed by TSA and I was told to hang around for a couple of minutes in the event they wanted me to open the case. About a minute and a half later the TSA person came out of a door nearby and gave me a thumbs up that all was good. My wife and I then proceeded to the security check point. When arriving in Reno we went to the luggage carousel and waited for our luggage. My suit case with the pistol came out on the carousel with our other luggage (figure4). 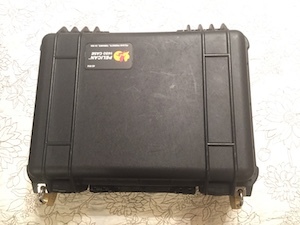 I found an isolated spot and opened my suitcase enough to see my locked pelican case inside. I made it to Reno with my pistol. The trip home was a little bit different. We checked our luggage, and I told the attendant I needed to declare a firearm. I took out my case as before and opened it on the counter. I signed the card stating the firearm was unloaded and the attendant told me this time to lock the case and lay the card on top of it. So, I did as requested and then put the pelican case back in my suitcase. 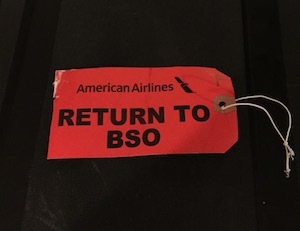 The suitcase was checked and a red BSO tag was put on it (figure5). I was then informed to wait 15 minutes. After waiting the allotted time and no one telling us anything, we then proceeded to the security check point. We arrived back at XNA and went to the carousel to claim our luggage. My suitcase with the pistol in it did not come out on the carousel. I went to the American Airlines counter and it was in the back waiting for me to pick up. I showed the attendant my ID and we were on our way. In conclusion, you are advised to know the airline and TSA regulations before you travel with a firearm. Don’t expect the airline attendant will know the regulations. They can be found on the airline and TSA web sites. I carried a copy of each with me in case there were issues. Something to note: It is best to carry your ammo in the paper box it was purchased in. As I experienced during this trip, procedures varied even with the same airline. 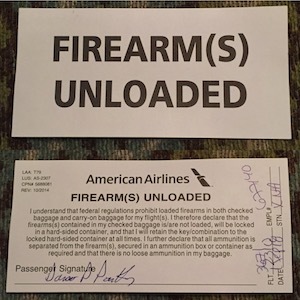 Follow the current up to date regulations and you should be good traveling with your firearm.